L300VF, Acoustic-electric Folk/Western guitar from Cort in the Luce series. 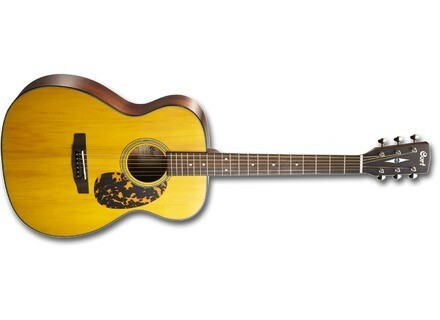 Cort adds to its Luce Series the L300V acoustic and L300VF electric acoustic guitars. Theses two new Cort guitars are now available worldwide, pricing is $535 / 389€ for the L300V and $645 / 479€ for the L300V. Eureka Baitar, half bass and half guitar The US manufacturer Eureka Sound introduces the Baitar, a real electric guitar that features one or two bass strings. New Fender Custom Shop Master Design Series For the Stratocaster 60th Anniversary celebration, Fender asked their Custom Shop Master Builders to create the model of their dreams. The Loar introduces the LH-301T Archtop guitar The Loar adds to its catalog the new LH-301T vintage-style ultra thin hollowbody archtop electric guitar.